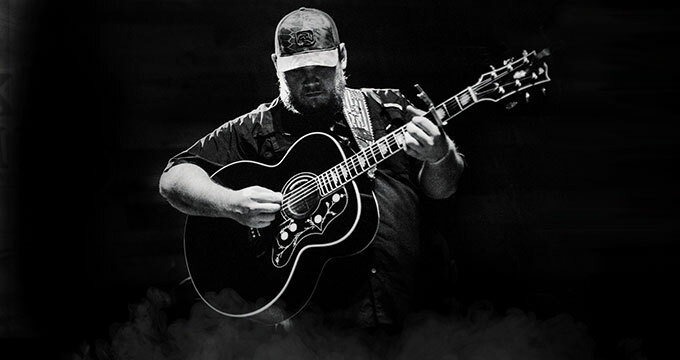 Get ready for one of the biggest Luke Combs concert tour of the year! It’s been less than two years since the release of his debut album "This One’s for You", but Luke Combs is ready to tour the country, and he hopes to see you there! The Luke Combs 2019 tour, also known as the "Beer Never Broke My Heart" tour is set to kick off in 2019. The first show starts on January 29th, at Legacy Arena in Birmingham, AL, and ends on July 13th, at PNC Music Pavilion in Charlotte, NC, with over 30 tour dates in between. This is going to be one busy year for Luke Combs and his band. He spent last year headlining different festivals like Bonnaroo and Austin City Limits, but now it’s time for him to step out and be his own man. Not only is Luke taking the band Lanco on tour with him, but he’ll also have some tour dates with Jameson Rodgers. You may have heard of the band Lanco because of their hit song “Greatest Love Story”, which topped the country charts in 2018, and is still played continuously on country radio. Lanco has never gone on conert tour, but we can tell that opening for Luke Combs is going to be a memorable moment for them. Along with the band, Jameson Rodgers is the dreamy country swooner that sings songs like “Midnight Dream” and "Aint Really Over" will be down for the ride. Pairing these fellas together is going to create a dream of a show! You will not want to miss out. Luke Combs songs are fun, adventurous and sometimes tender. His second single “When it Rains It Pours” went platinum, and we can see why. The song is hilarious, and catchy as ever. Luke knows that he has the best fans in the world, and he showed his appreciate for them by including a presale code to purchase tickets to his concert early. If you weren’t one of the lucky ones that bought tickets with the presale code, you may still be able to find tickets to a show near you. There are cheap tickets still available at some tour dates, but he’s sold out quite a lot of arenas. This party is going to be packed! We don’t know how he does it, but Luke has found time to write a brand-new album for 2019. Along with this 2019 tour dates, he’s told fans that there are 20-25 new songs coming out this year. It’s possible that he may even debut a song or two on tour. That would be amazing! There are so many incredible directions that a new album can go, is it possible he will reinvent his sound? Or will he stick to the same country twang that we’ve all grown to know and love? We are certainly looking forward to finding out. If you are looking for some fun, wild times this upcoming year, it’s never a better time to look for tickets to this show. There is no doubt that this show will bring the house down. If you saw Luke on tour with Jason Aldean last year, you know he can pack a real punch with his music. Everyone enjoys dancing along to his songs, and you’ll be lost in his gritty sound.